…they didn’t carry them either. I was apparently the only one in town concerned that someone would hitch up and steal my house, except for the folks at Wal-Mart who carried the item for “houses” of a different size. But at the second shop they offered to order one. Fine, I thought. Never mind that I can order one from Amazon myself. Here I can at least get help to find the right size, and still have a chance at that emotional support I came for in the first place. To the owner of this store, it wasn’t clear from the catalog which size would be most appropriate either. And the frustration this caused him eliminated all chances of emotional support. So I politely excused myself after 20 minutes of strolling dusty aisles of tank valves and pre-LED RV lighting fixtures. In a nearby town, the 3rd owner of the local bike shop greets his customers at the door. He creates community by offering guests a soda while he works on their bike. He leads rides from the shop, and coaches the high school bike team. He offers professional-style fitting sessions for a fee, and builds customer relationships like a refined politician. Are local shops in small-town America toast? Not until Amazon.com learns how to build community, fix bicycles and coach the local bike team. In the mean time, opportunities are alive and well for small shops that do business right. I recently met the owner of a local business. While sharing about his company, he told me that they now have 50 employees. The same figure came up in casual conversation later that week with one of his employees. Several business experts, including Jim Collins (author of Good to Great) and Jack Stack (author of The Great Game of Business), emphasize the value of what Stack calls a “critical number,” a metric that represents the success or failure of an entire organization. The value of such a number, one that unifies the effort of the team in a single direction, is obvious. And it’s interesting to observe that humans are programmed to pick such a metric, whether on purpose or not, and use it as their measure of progress. With that in mind, one may be well advised to think that “critical number” through, and make it official, before a figure like “employee count” (and a bloated payroll) takes over as the key measure of success. A toy store is selling the last dream doll this Christmas, and 5 customers in line have expressed their desire to buy it. What would be the fair way of deciding who gets the doll? Options include: An auction to the highest bidder, a lottery or selling it to the first person in line? From an economist’s perspective, the answer is an auction to the highest bidder. We are, after-all, trying to make a profit, and theory suggests that the person who wants the doll the most will be willing to pay the most for it. Supply will equal demand. That answer will get you an A in your business class, but is it the best way to run a business? Of the persons who took a survey organized by Kahneman, Knetsch, and Thaler*, 75% considered an auction to be the “least fair” option. Thaler, in particular, is an economist that studies how people really behave as opposed to rational business behavior. If you said “to the first person in line,” you agree with 68% of the people surveyed. 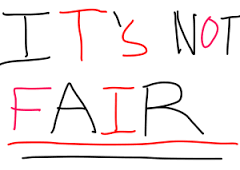 People seem to have deeply seeded rules of fairness. The rules may vary from place to place, but as a business owner it is important to know them. If a business makes a decision that is wise and efficient, but violates the generally accepted rules of fairness, they will lose customers. Don’t get me wrong; it is important to know what maximizes profit. Not knowing that information will close business doors pretty fast. But every decision should also be balanced by a look at what is best for your customers and the little girls that would love to get that amazing doll for Christmas. *Kahneman, Knetsch, and Thaler. Fairness and the Assumptions of Economics. Chicago: Journal of Business, 1986. Rachel and I read your publication with enthusiasm. From stunning photography to witty prose, each issue is an encouragement to our agricultural ventures. With that in mind, may I humbly share a concern in your September 2015 issue? That strategy may grow a customer list, but it defies the laws of microeconomics to expect that a small-scale producer can compete with supermarkets on price, and still make a decent living. Supermarkets, and the corporate farms that supply them, are designed to be efficient and price competitive. They are machines built for volume over profit margin, and it isn’t possible for a small farmer, taking all costs into account, to get properly compensated for her work while fighting them in a price war. That would be like asking a one-man, hand-made furniture producer to compete with prices at IKEA. He simply can’t do it. 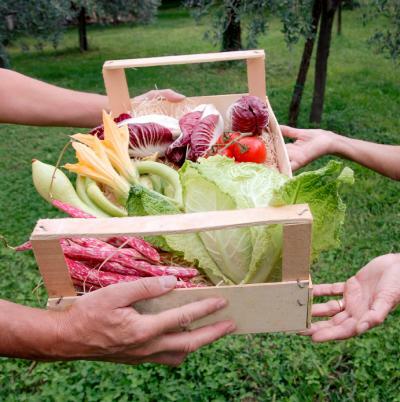 A small farmer provides a completely different customer experience. She replaces the soulless supermarket with a transparent production system, a smiling face and a compelling brand. On that playing field, she is untouchable. She should talk up the clean and safe production practices, show pictures of happy grazing animals, and then let customers draw conclusions about those “other” producers. Fortunately for her, a growing crowd of customers are figuring out that food decisions are too important to be left up to price.